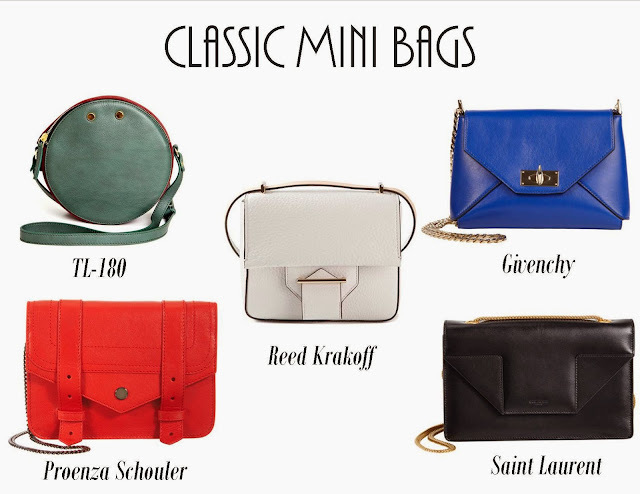 On Monday I showed you my top five classic carryall bags (see here), and today I show you what my top five classic mini bags. Classic bags to me, mean that they will still maintain their value and appeal lets say twenty years down the line. These are investment pieces that are worth splurging the high price tag on, at least in my eyes, although not all of my classic choices both in the carryall and in the mini have a really big price tag, so good news for you. These bags are the best staple to to any outfit, from day to night and are so much more fun and light then their larger counterparts. What do you prefer, a carryall or a mini?